A report published in the Journal of Women’s Health proves that banning smoking can have a positive impact on pregnancy. The ban covered an entire city in Colorado, but only public smoking – not in-house smoking. The result was a significant reduction in early birth risk, but the infants born to women who smoked were no less likely to suffer from lower birth weight. The city-wide smoking ban in Colorado is not the first of its kind. There have been other cities that banned public smoking with the same general effect on pregnancy complication risk. Smoking was once thought to be a healthy practice. It was nothing to see pregnant women, doctors and even teens smoking in public and at home. However, health facts about smoking have associated the practice with lung cancer and other negative side effects on health. 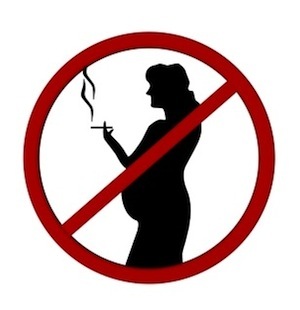 For the pregnant woman, smoking can cause lower than average birth weight and preterm labor. Reporters following the outcome of the city-wide smoking ban found that preterm delivery rates were down, but birth weights were left unaffected. Researchers involved with the study included doctors from the University of Colorado and the Skaggs School of Pharmacy. The doctors reported, after looking through the data collected, that changing city rules to prohibit public smoking did impact pregnancy and fetal outcomes significantly. According to previous reports, some experts believe a nationwide ban would be beneficial both medically and financially. It is estimated that nearly $100 million in medical costs could be saved if a nationwide ban was approved. Despite the positive, statistically significant reduction in preterm delivery, few cities are passing the city-wide bans. However, doctors can use this information to further educate pregnant women on the positive effect of quitting smoking during pregnancy. Source: Robert Lee Page II, Julia F. Slejko, Anne M. Libby. Journal of Women’s Health. 8 March, 2012.